The Canyon Clubhouse features as standard a 1.2m deck height, so making it ideal for early years or nursery use. Alternatively, ask us about reducing the deck height to 1m or even less. With a single clubhouse unit you can add a slide, ladder, cargo net etc plus a choice of roof styles. Or, by connecting two clubhouses together with a bridge, youcan more than double the play value and have many more features. Like all our multiplay systems, our Canyon Clubhouse commercial playground is expandable in the future with the addition of more accessories. To put together your own Canyon Clubhouse playground system check our playground accessories page to see what you can incorporate; or download a Commercial Play Price List to cost out the different components. 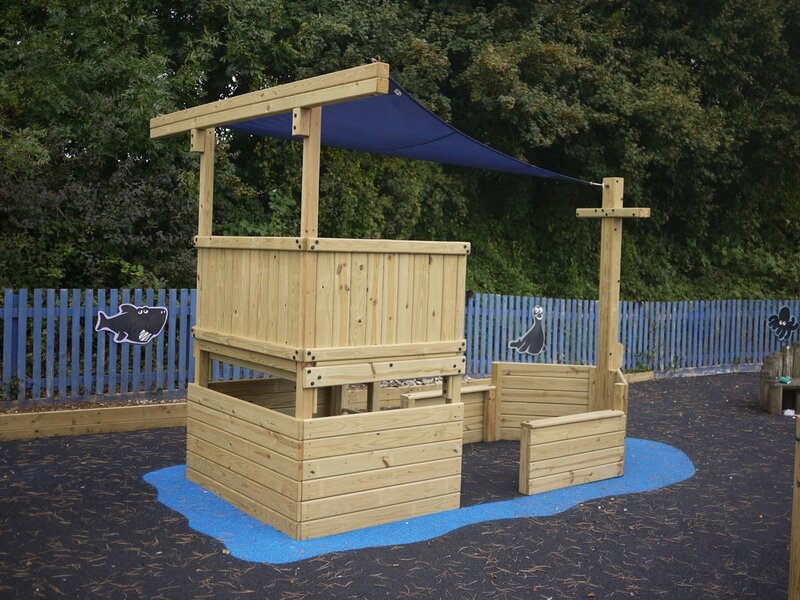 If you are designing your own Canyon system and need to know about heights, widths etc our play equipment dimensions page should give you all the information you need; or have a look at how our modular design can give you the perfect playground for your site. We pride ourselves on manufacturing top quality, durable playground equipment. And with our in-house designers we can custom design the play area which is right for you. If you are looking for inspiration on the Canyon Clubhouse range have a look at our Photo Gallery to see what others have chosen. Or use the drop down menu at the top to explore our other ranges.